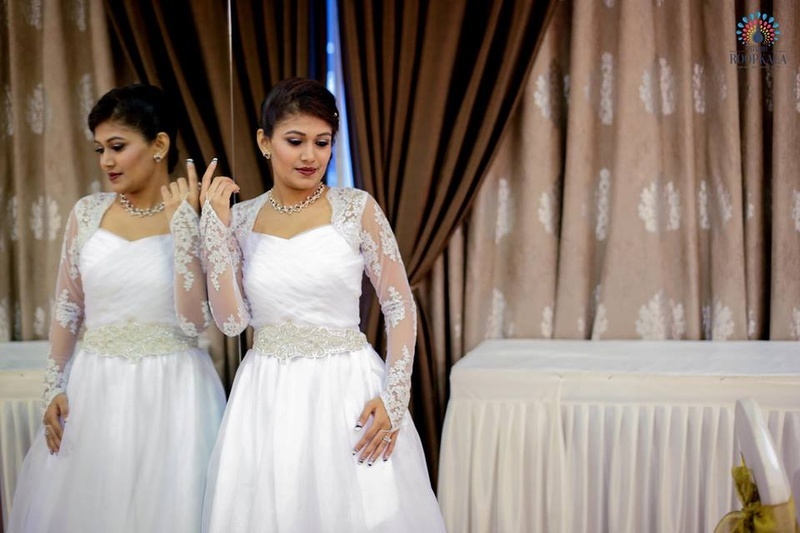 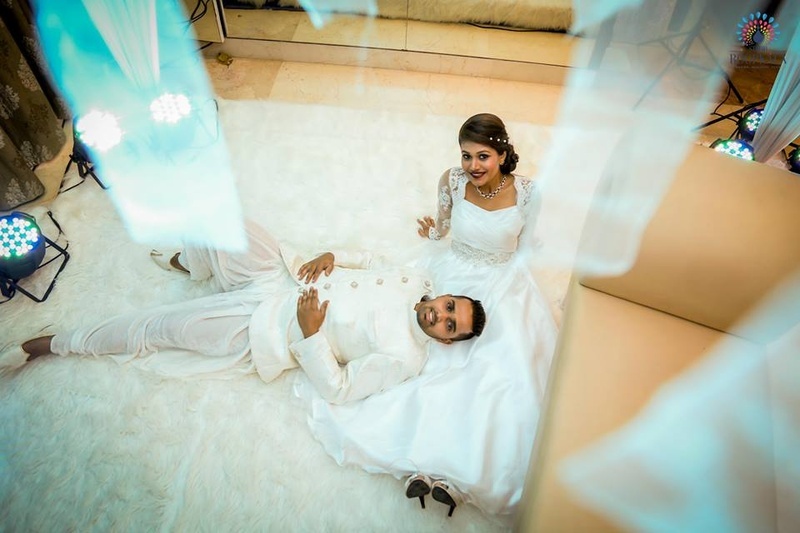 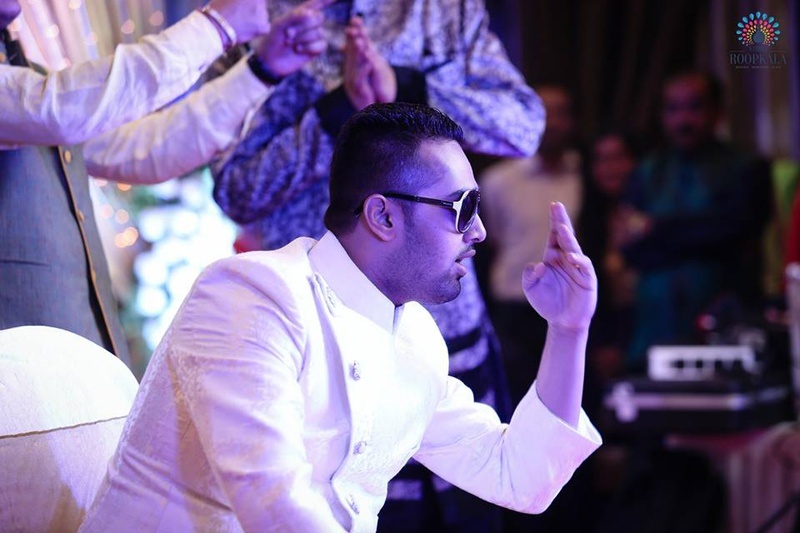 Celebrations started with a bang at the couple's classy all-white sangeet where Jinal opted to wear a white ball gown that had beautiful accents of Chantilly lace on the sleeves. 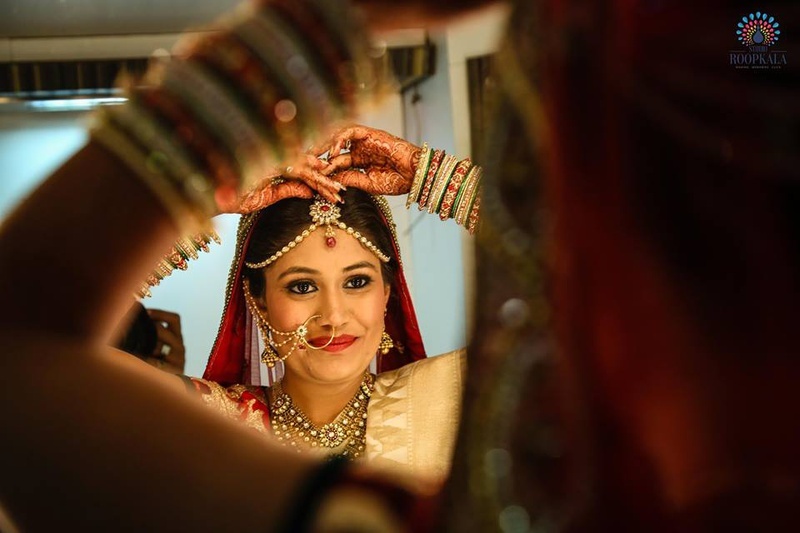 She looked nothing less than a princess that she'd always dreamed of being! 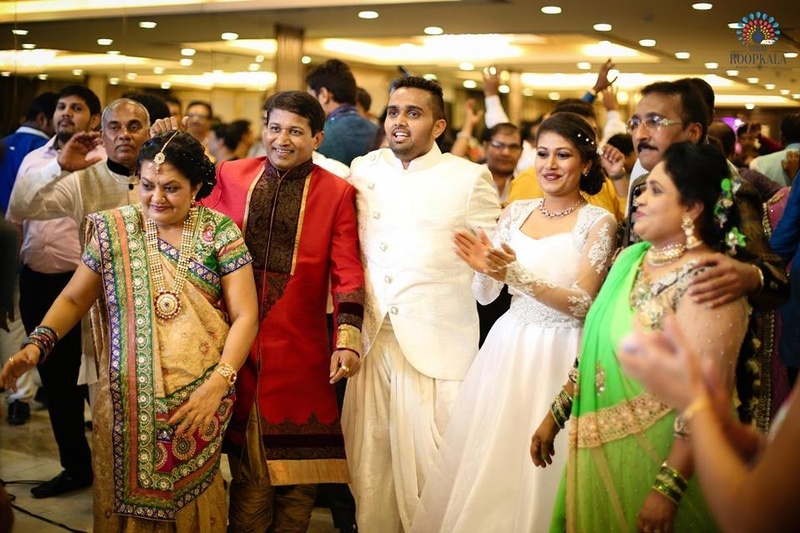 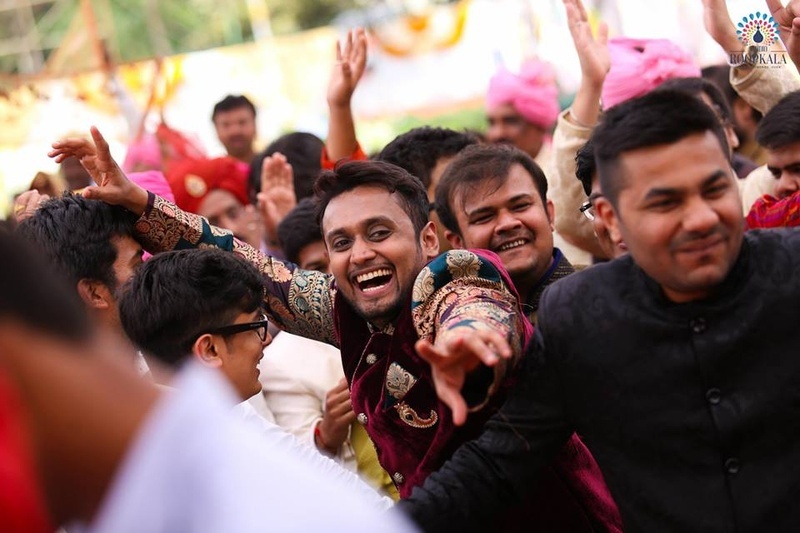 Monik chose to keep it ethnic with his ivory silk textured kurta and dhoti pants – and even though they were wearing such contrasting outfits, it still looked like a perfectly painted picture. 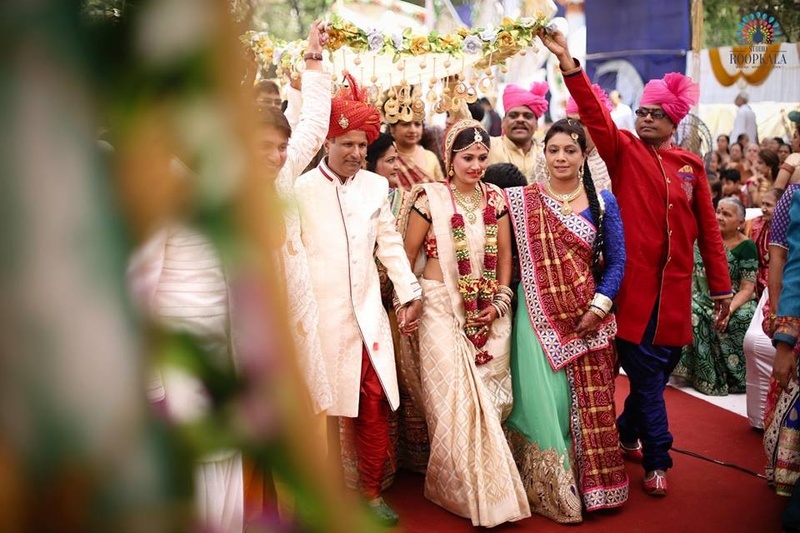 For the wedding ceremony, Jinal wore a traditional white and red Panetar saree given to her by her maternal side of the family with love, blessings and wishes for a happy married life ahead. 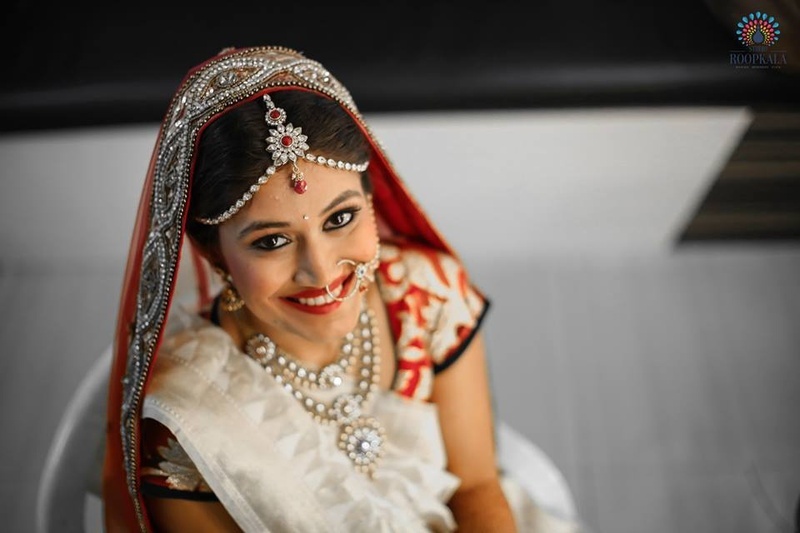 She accessorized her traditional Gujrati look with a two layered kundan necklace that had a floral pendant drop, along with a matching maathapatti and delicate nath. 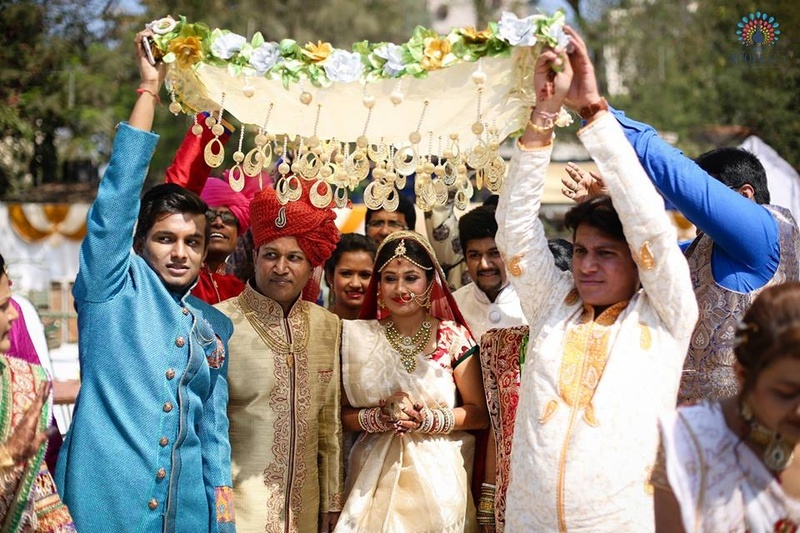 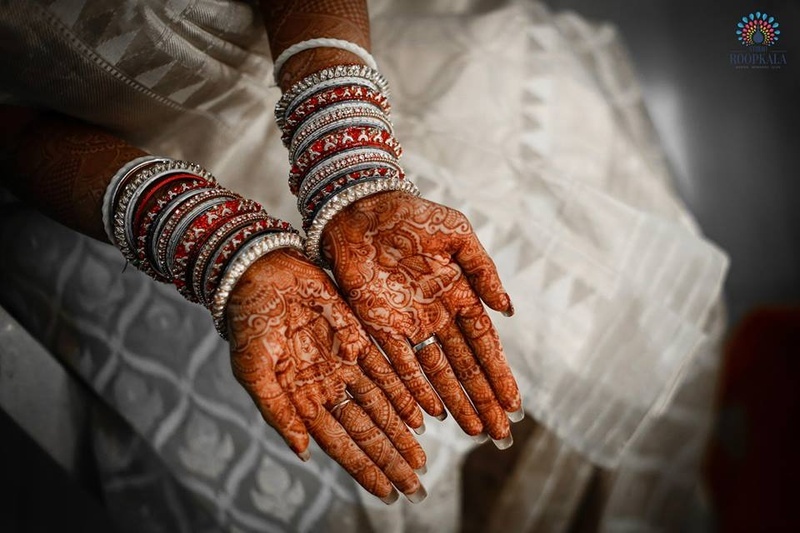 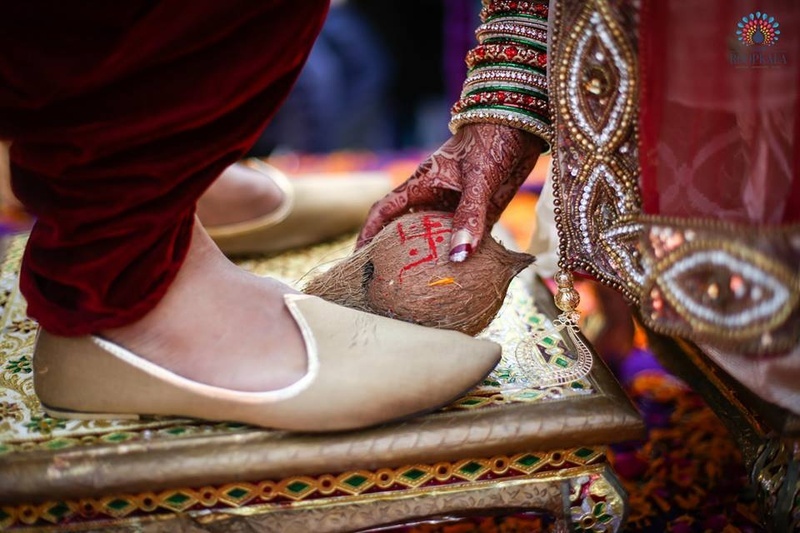 She entered with her family and loved ones under an off-white bridal chaddar that was bordered with faux flowers and had gorgeous gold latkans suspended from it. 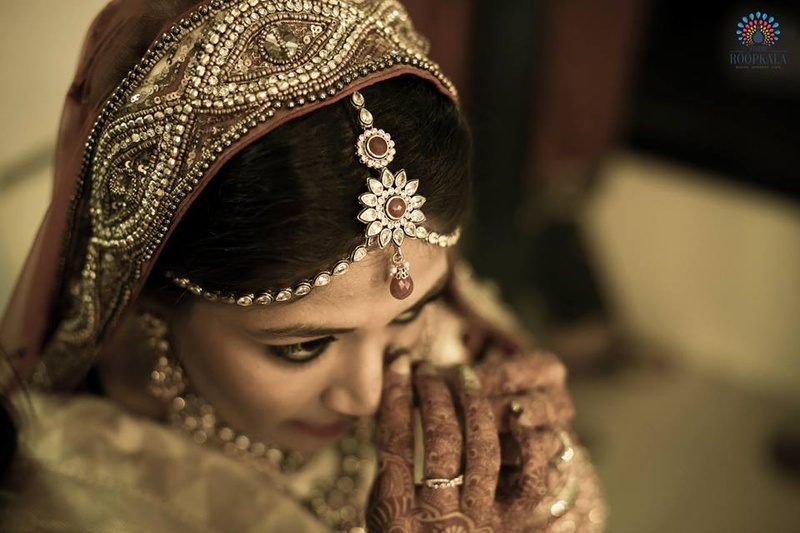 She looked the part and was ready in her heart to vow her love to Monik for generations to come. 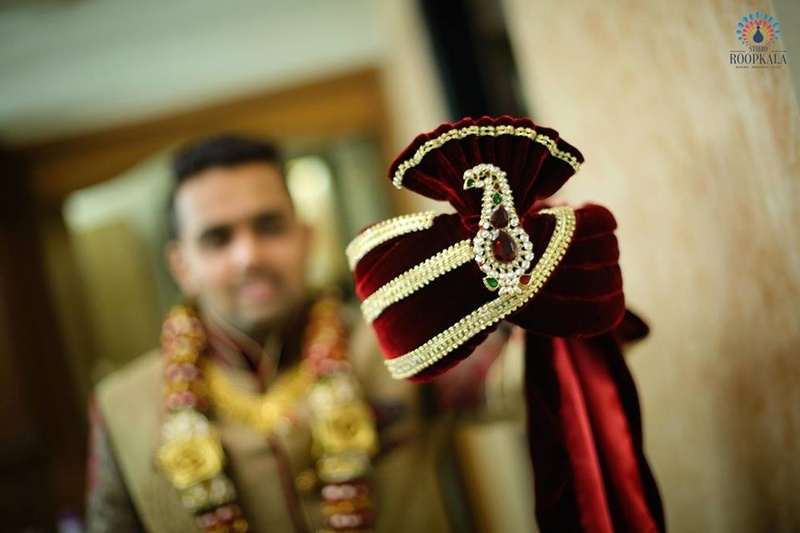 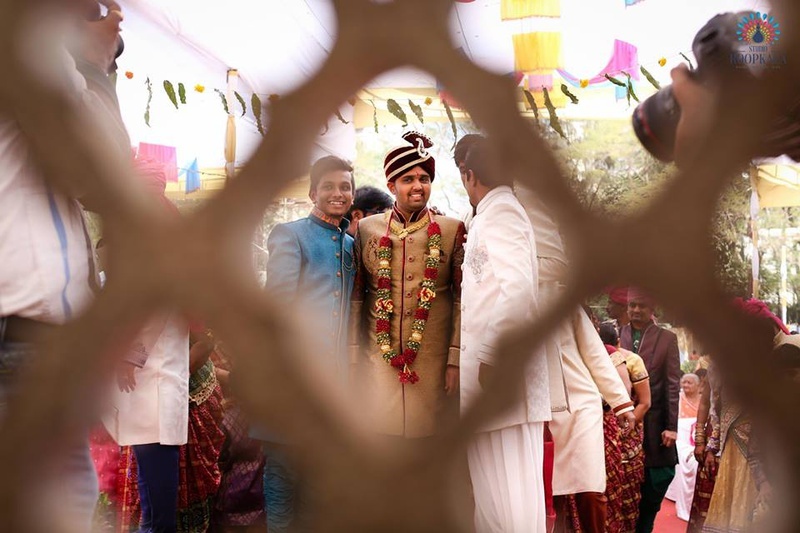 The handsome groom was eagerly waiting for his bride at the mandap dressed in a beige and maroon textured silk Sherwani. 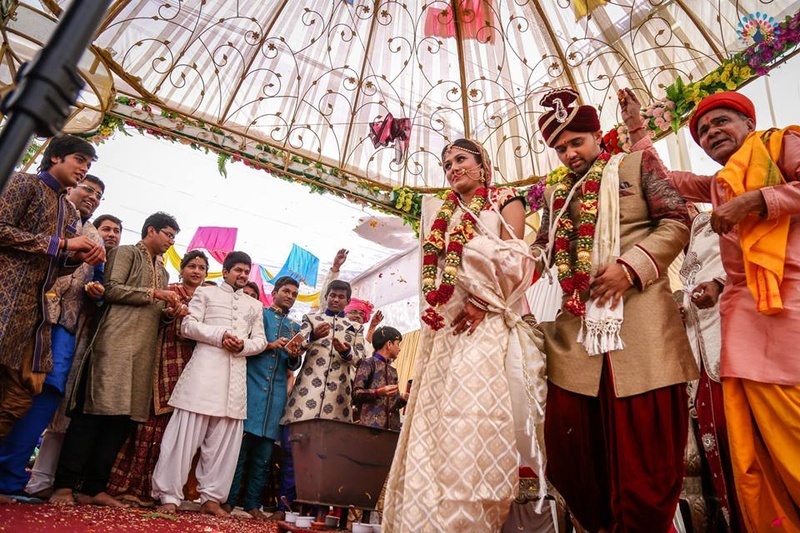 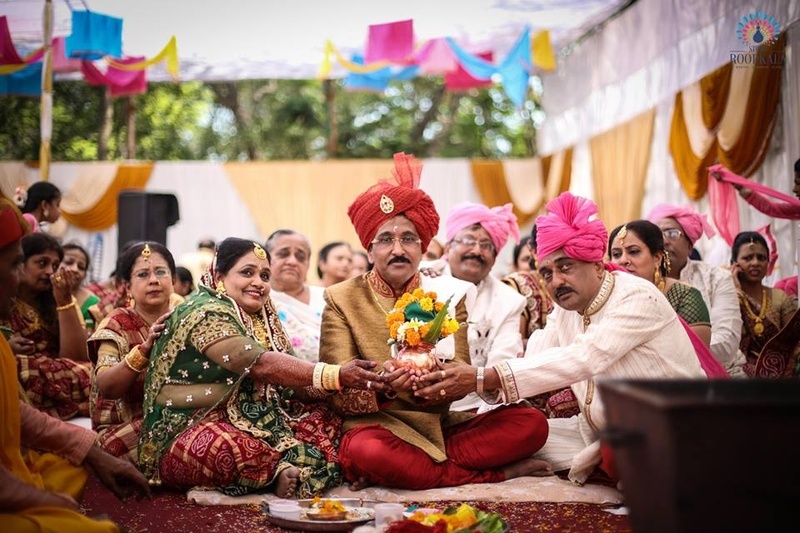 Together, these two completed every traditional ritual in an outdoor vedi Mandap decorated with drapes and beautiful flowers. 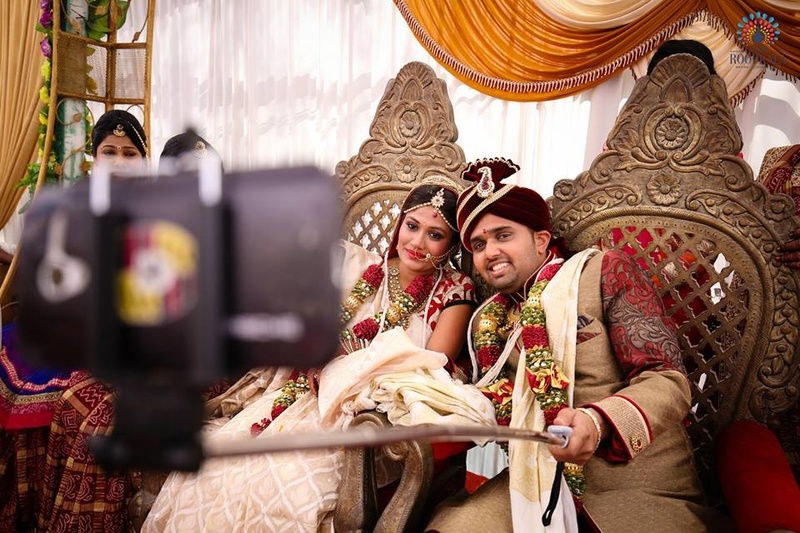 Once things were made official celebrations started with selfies and then moved on to the elegant reception dinner. 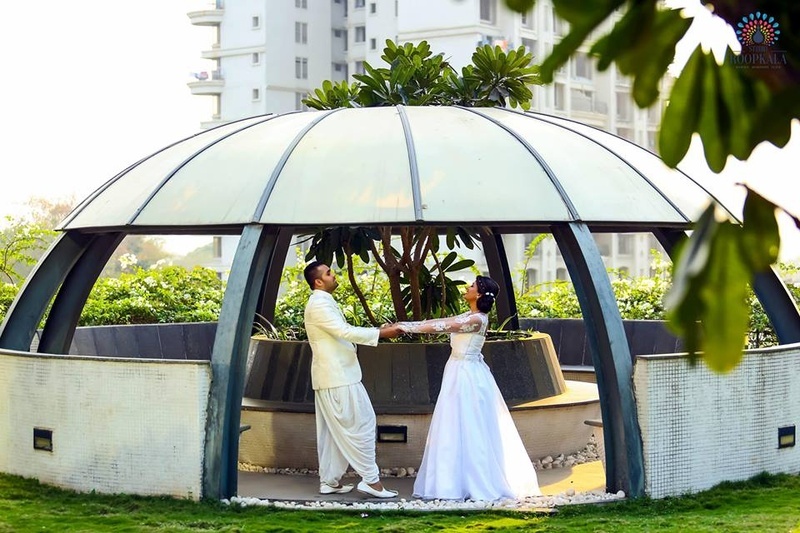 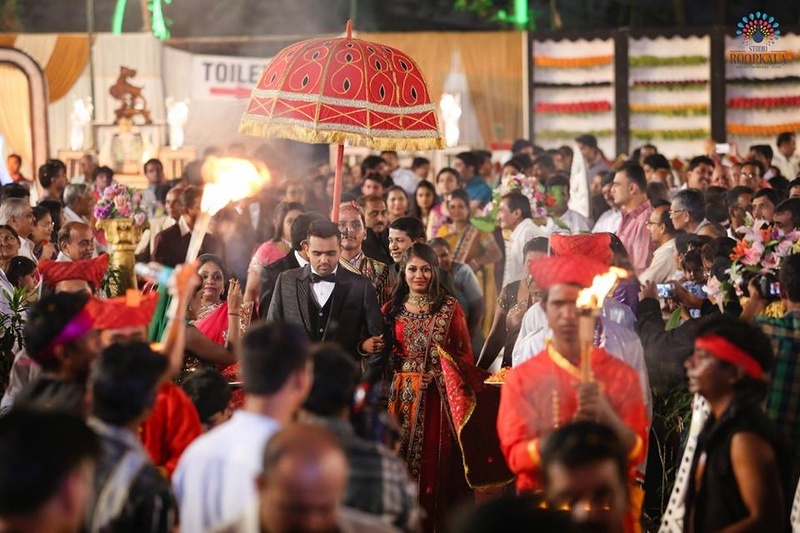 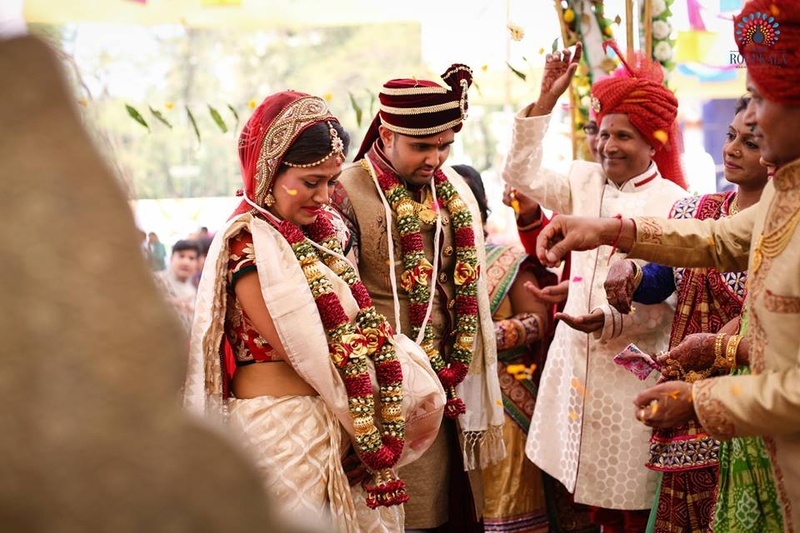 This couple was dressed to impress at their reception where the handsome groom wore an ash grey three-piece suit and the bride, a flared blush red heavily embellished lehenga. 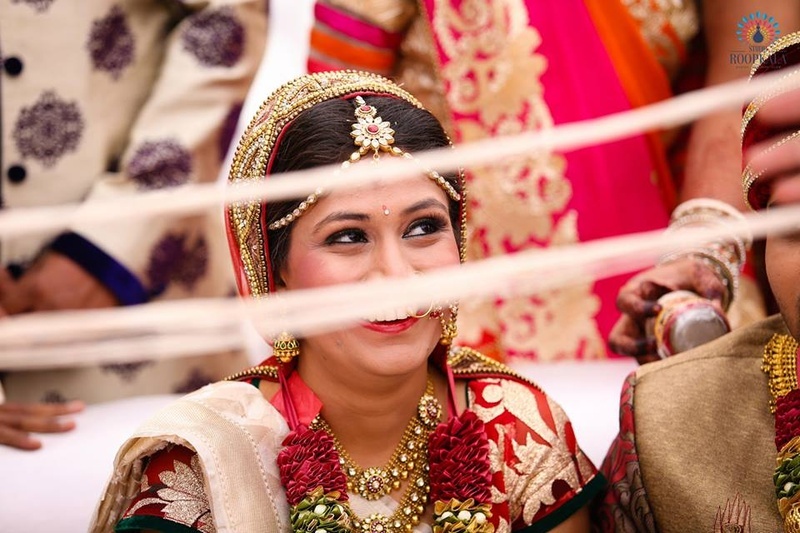 The most emotional part of this wedding was the bittersweet Vidaai ceremony. 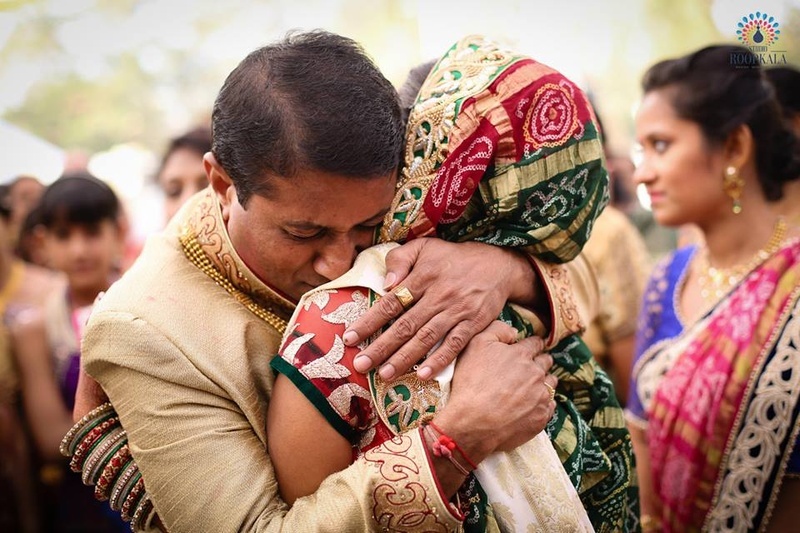 Emotions and sentiments so well captures, it gives you goosebumps even through photos. 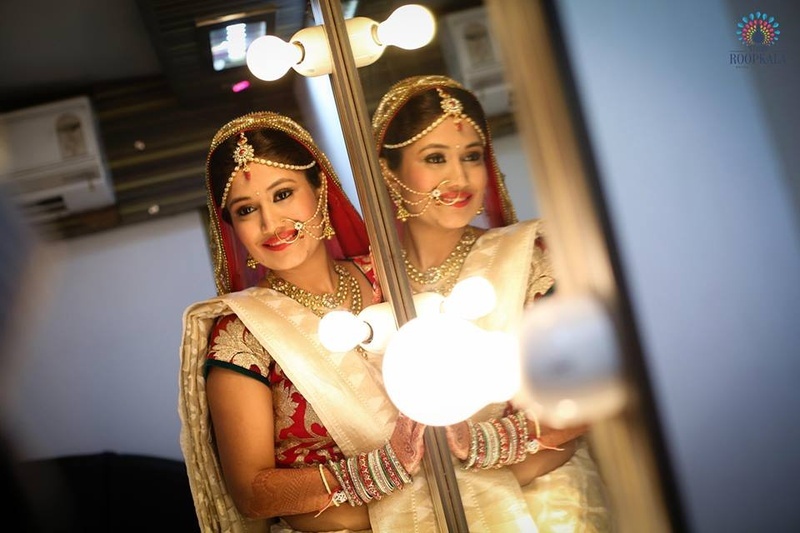 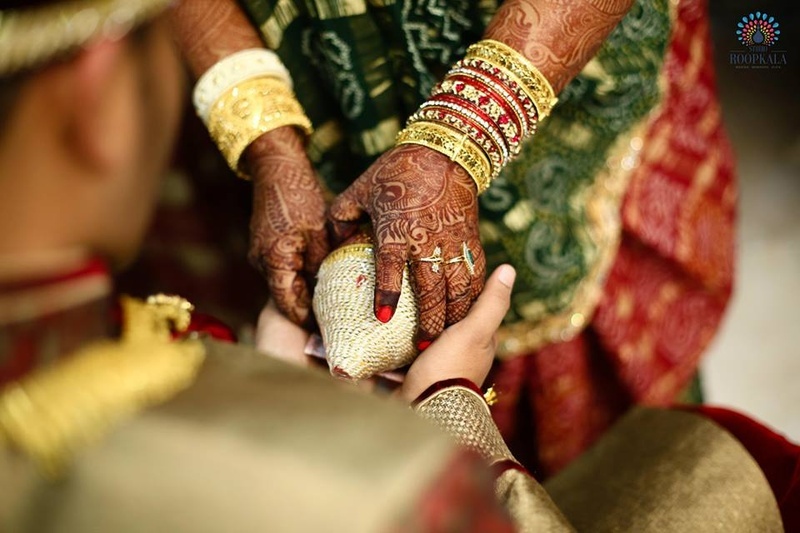 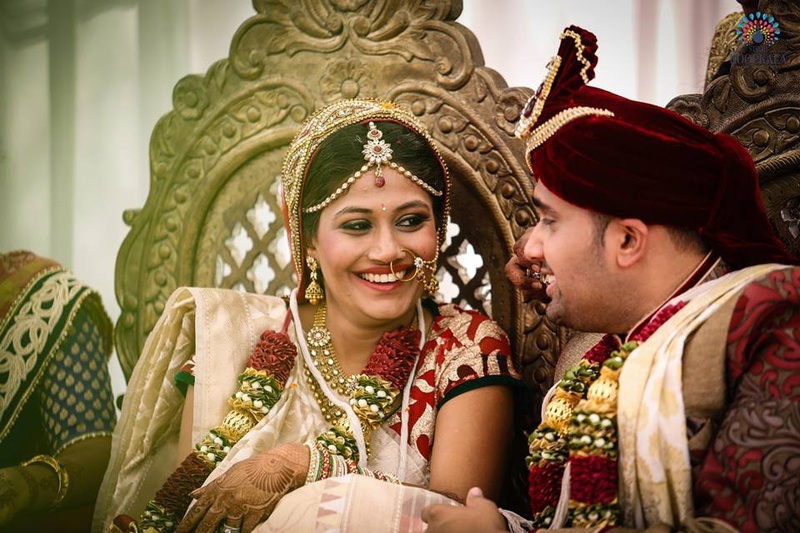 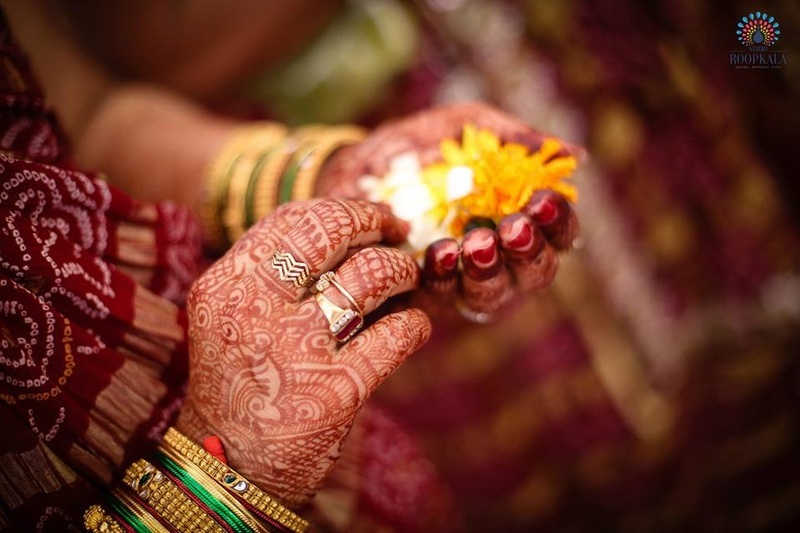 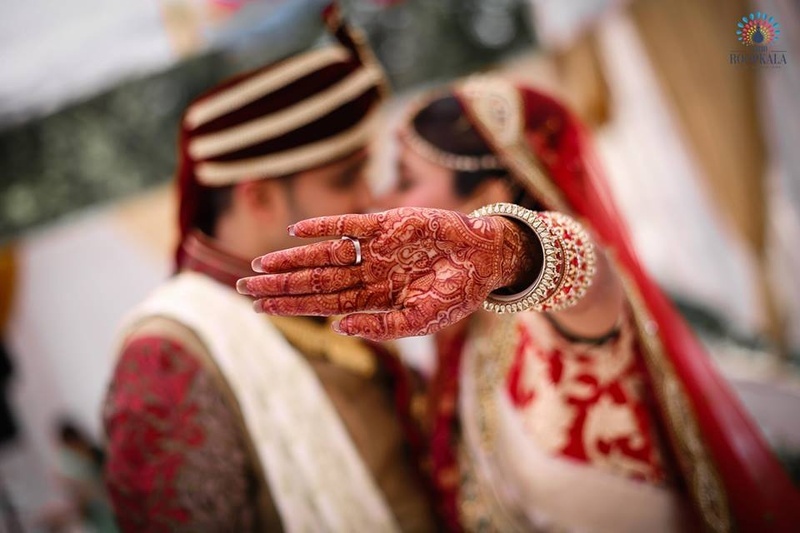 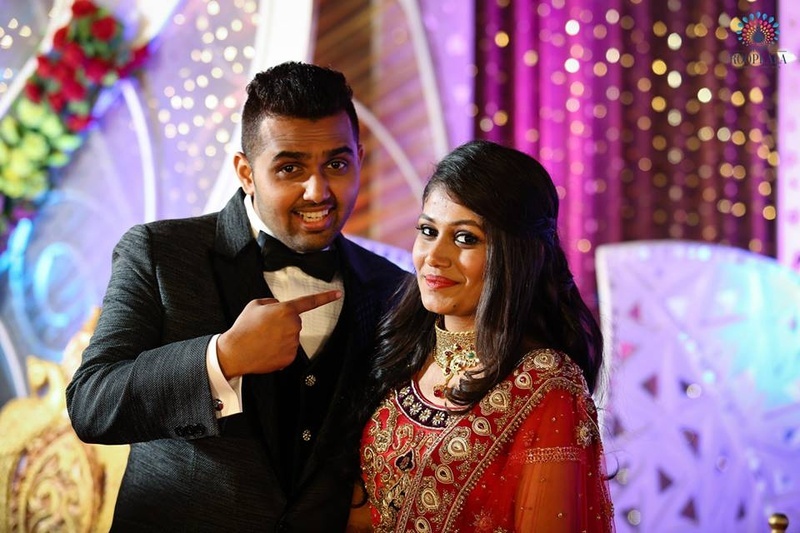 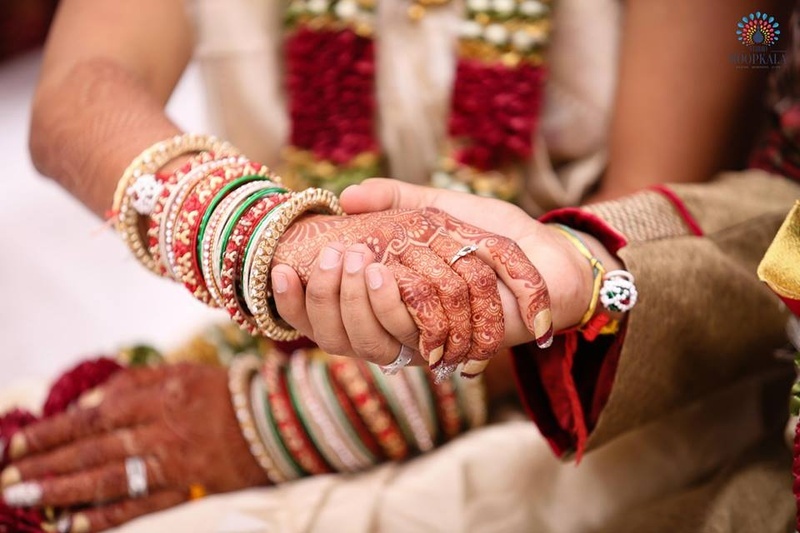 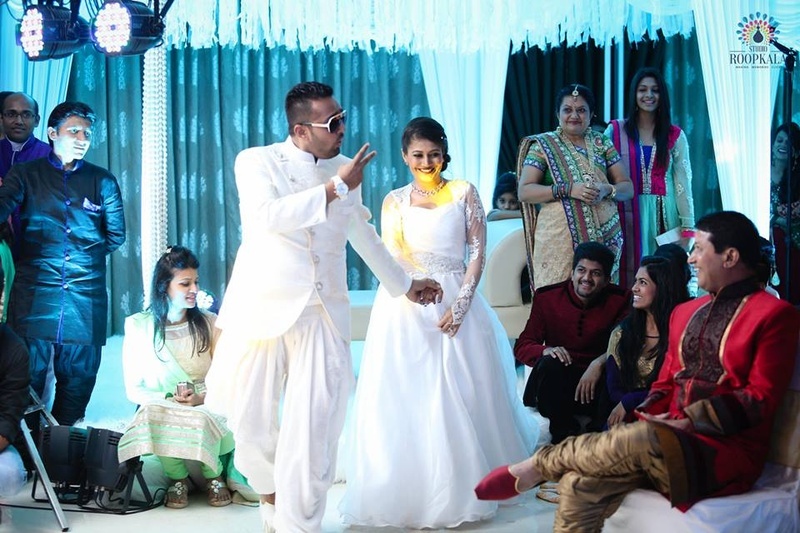 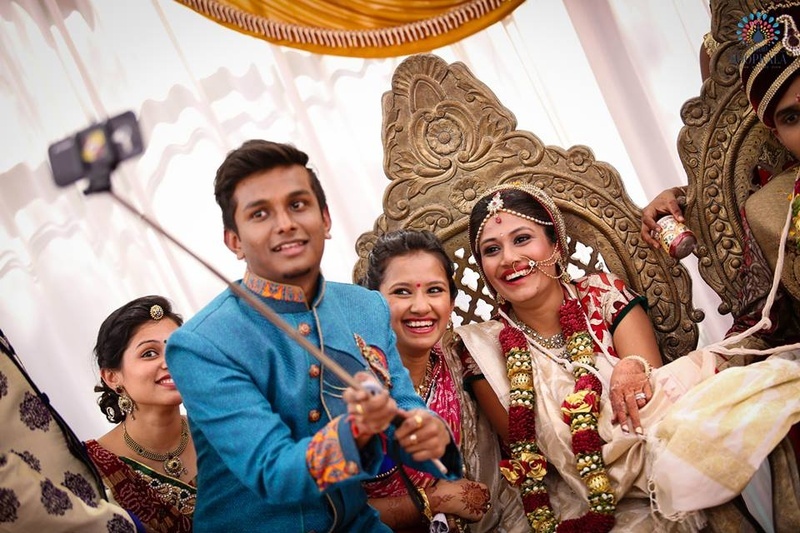 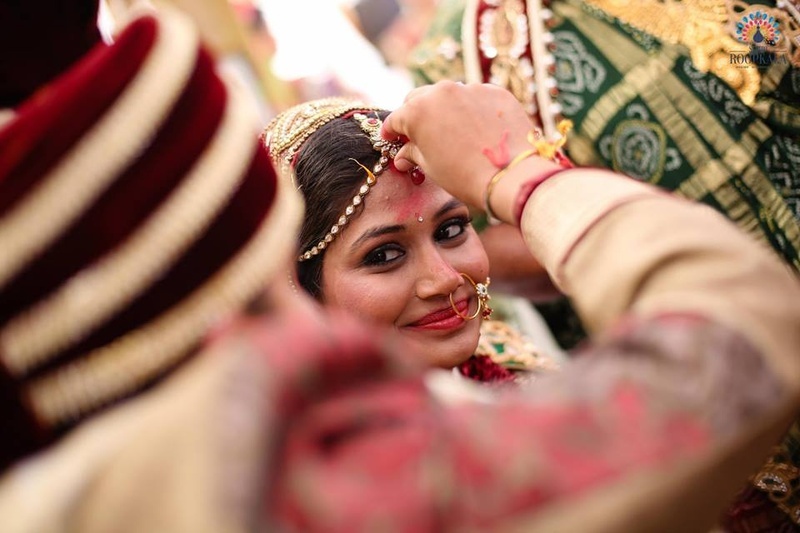 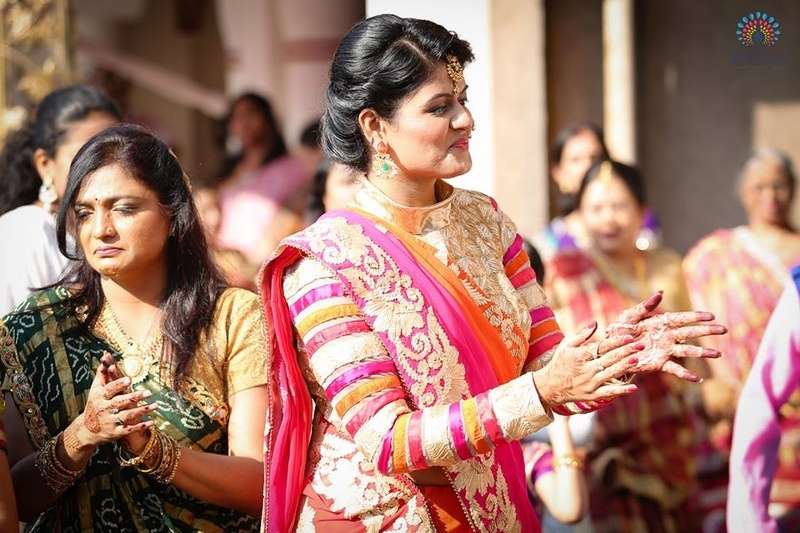 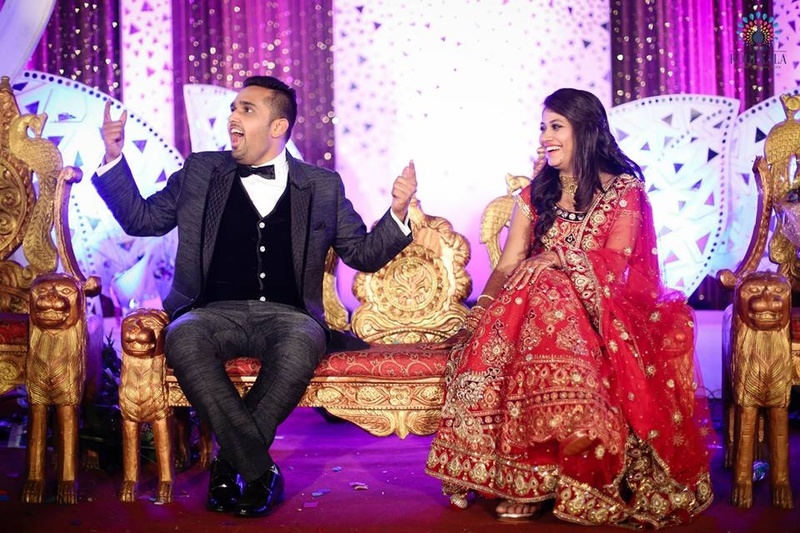 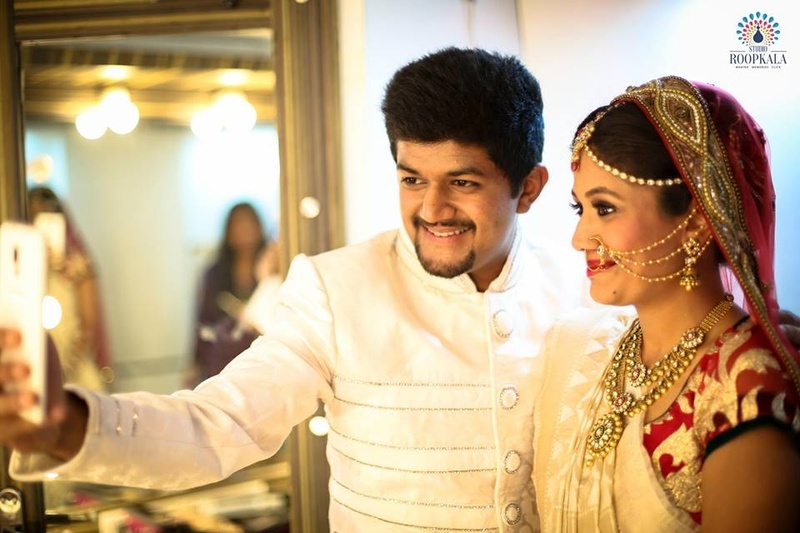 Studio Roopkala captured every beautiful moment from this stunning couples wedding celebrations. 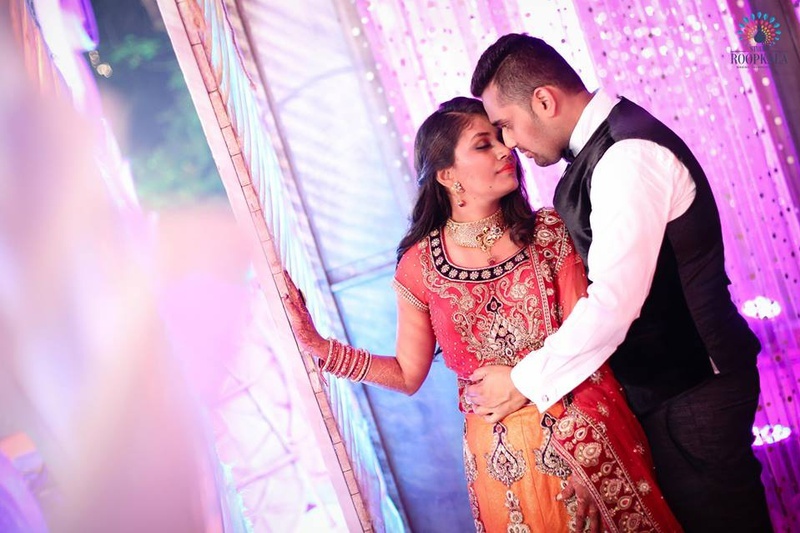 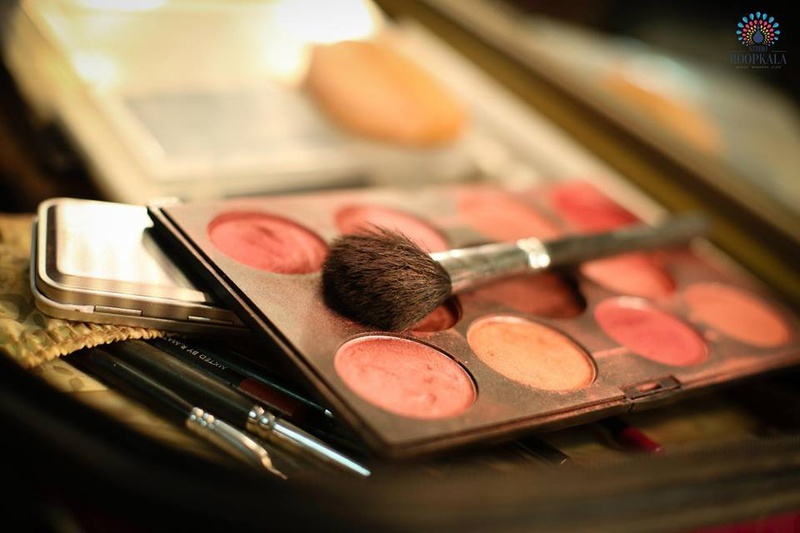 Let's have a look at a few pictures right here!